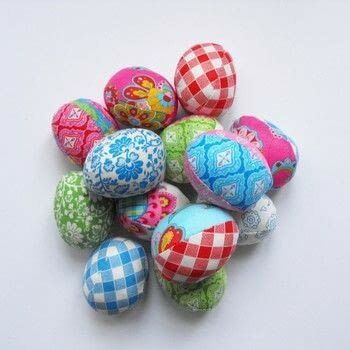 A beautiful take on the painted egg. Hang from a festive blossomed branch or place clustered in a bowl to decorate the table. 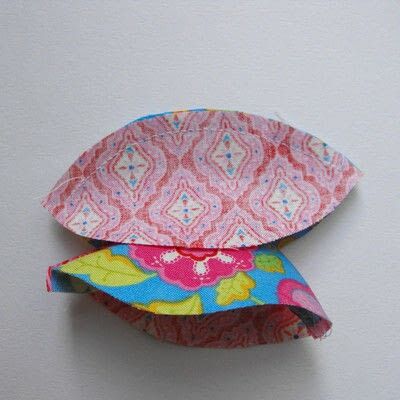 Use the template (attachment) to cut four pieces of fabric for each egg. 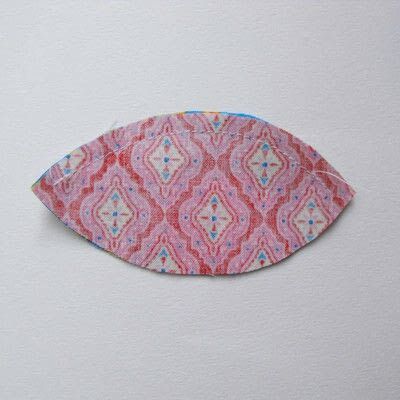 The triangular ‘notch’ is to help you to identify the top of each piece; try to mark the two dots accurately – they indicate starting and stopping points for your stitching. The template includes 6mm seam allowances.You can use one two or four different fabrics. Take two pieces of fabric and, assuring that they are both the same way up, place them face to face and pin or tack. 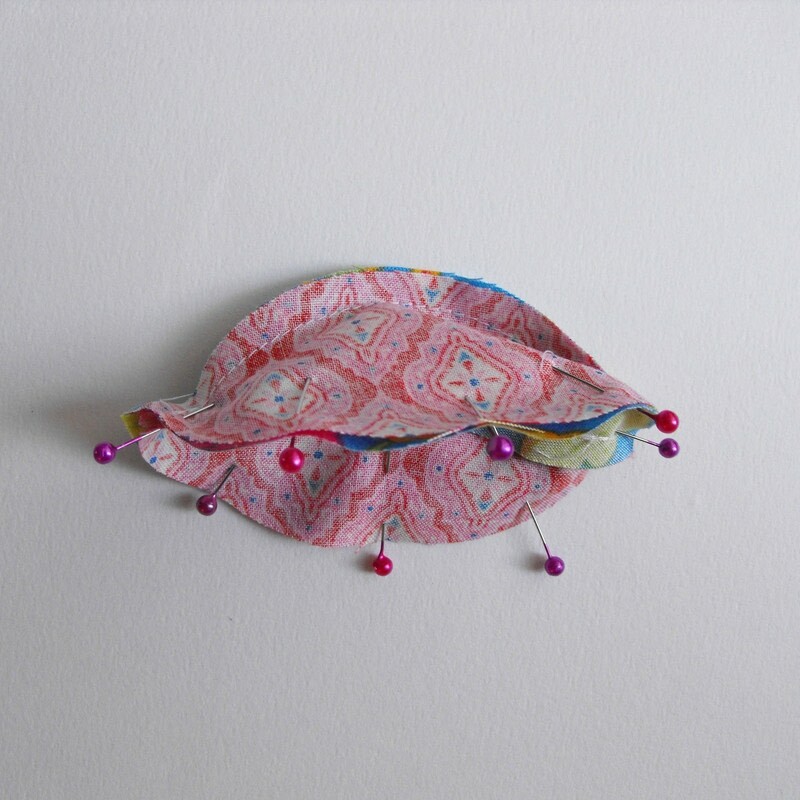 Sew by machine along one edge from dot to dot, reversing at both ends for strength. Repeat step 2 with two further pieces of fabric. Turn one pair of panels right side out, and slot them inside the second pair). Pin or tack. 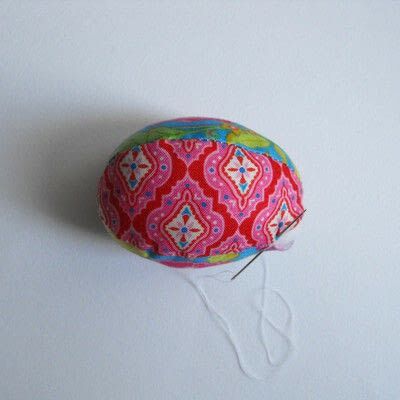 Sew around the two sides, leaving a 2cm–3cm gap to turn your fabric through (again, reverse at either side for strength) . Before turning your fabric egg out through the opening, trim the seams down to 3mm and clip them at close intervals, taking care not to snip your stitching (leave the seam 6mm deep at the opening). 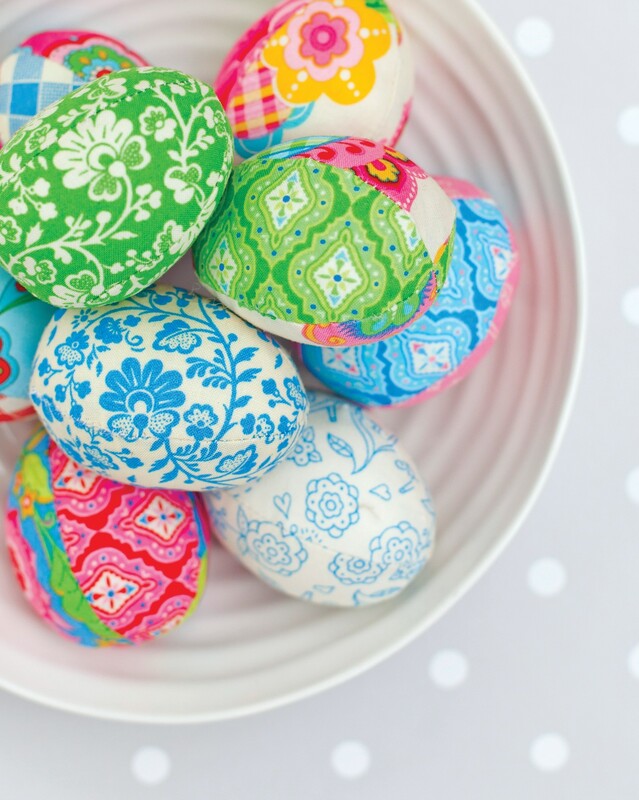 Turn your fabric egg out through the gap. Stuff your egg with hollow fibre, the more fully you stuff it the better shape it will have. Close the gap by hand with small, even slipstitching. 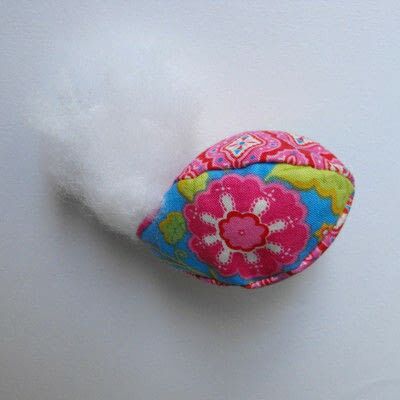 Add a loop of embroidery cotton to the top of the eggs to make bright hanging ornaments – beautiful decorating a freshly cut branch of spring blossom.